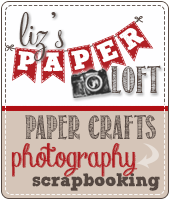 Liz's Paper Loft: Everyday Cricut Day 4 ~ Christmas Card! Hi Paper Lovers! 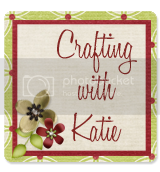 Wow, I can't believe that my Guest Designing week at Everyday Cricut is almost over! 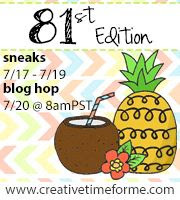 :) I've had a blast creating a variety of themes for you. So far I've done Halloween, Birthday, Fall and now it's time for Christmas! Again today I went with nontraditional colors. While making this card, I thought this would be a pretty 25th anniversary card too, with a few tweaks! After cutting all the pieces, I inked the edges. Stamped the sentiment on the handmade banner and curled it for more pop! I added a bit of gold stickles to the berries on the holly cut. 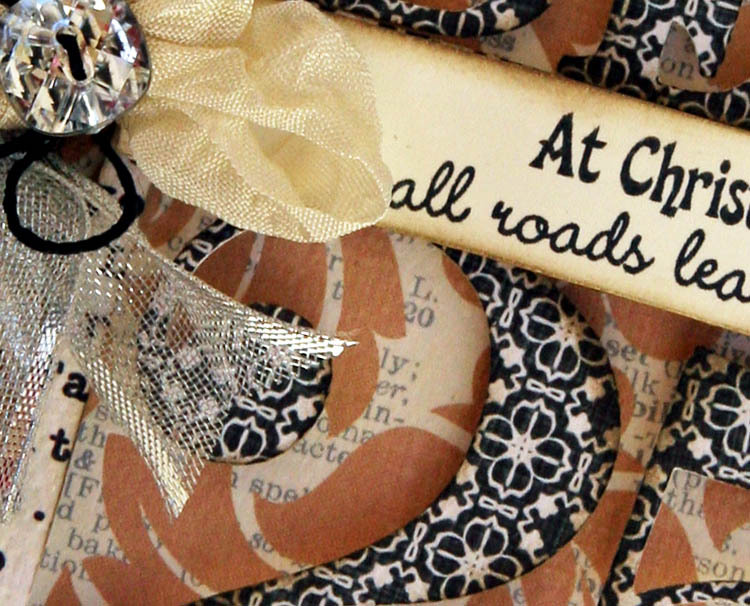 Then ribbon and hemp bows with a square sparkly button. No glitter today, but still plenty of bling! 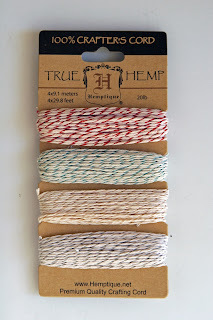 :) To see how I crinkle my seam binding ribbon, click HERE! It's hard to see but I embossed the cream paper with an embossing folder! Now it's Giveaway Time!!! 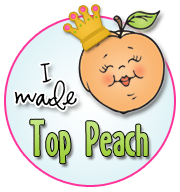 All you have to do is leave a comment with your contact info here and on Everyday Cricut! 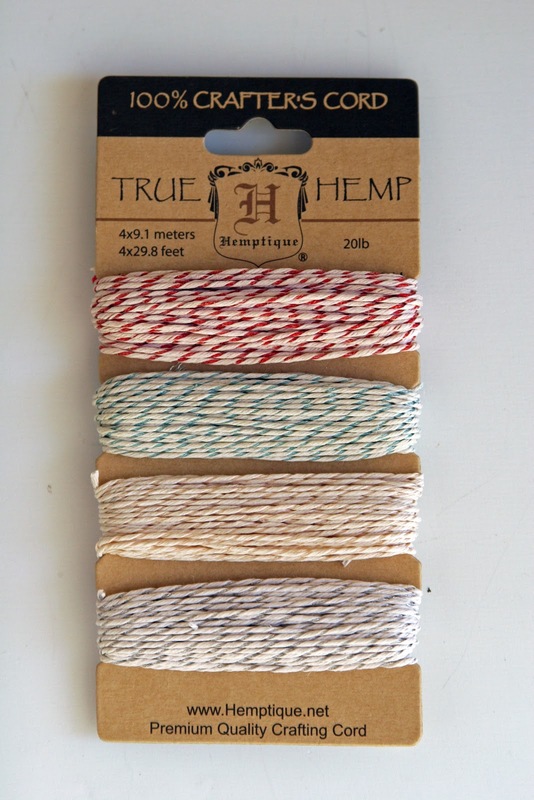 I will pick one winner for this Limited Edition Metallic Hemp on Saturday, October 20, and announce it on my blog! I will be back tomorrow with my last project :( for Everyday Cricut! I have also entered this at the DYSU Challenge Blog! What a pretty card,Liz! Love everything about it! The button is so pretty!! OMG Liz! This is gorgeous! I LOVE the papers, all the layers and the button! WOW LOVING this one!!! I just love this card! You did a beautiful job and it gives me inspiration to do more on my cricut. Thank you for sharing. This is so beautiful, Liz!!! I love every little element... they all tie together perfectly! That bow is AMAZING!!! Beautiful vintage looking Christmas card and I like the idea of using it for a 25th anniversary card too. Love Vintage & this has the look in a sparkly way! Thank you for all your projects & can't wait to see your last one tomorrow...sorry it's almost over!! 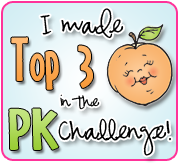 Thank you for sharing everything -- including the crinkle ribbon video! 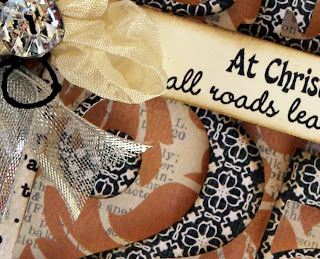 Pretty ribbon on the Christmas card. Like the cutout. There's a challenge at Do You Stack Up DYSU94 Vintage that you can enter this in. Thanks for sharing & giveaway chance. I like this nontraditional Christmas card very much! The bow and button really make it pop. TFS! Your card is beautiful! I love the color combination. Thanks for sharing! Such a beautiful card. I LOVE your choice in colors. Thank you for sharing. This is so beautiful! The colors are unique for Christmas, the would so totally match my Christmas decor! I think this is my favorite of your projects on Everyday Cricut so far. Just love the non-traditional colors! And you're right, this would make a beautiful anniversary card!!! Thanks so much for the chance to win! Beautiful card. You are so talented, I wish I had a smidgen of that talent. Thank you for sharing and giving us a chance to win your give away. Hi Just found you blog this morning and I love the way you did the colors on this cards. Trying to think outside the box on regular red and green for Christmas. Thank You for your beautiful work. Beautiful Card!! Love the colors. I think this would make a great any day card!! Pretty card. Like that it is not the traditional green and red. TFS. I also like stickle/bling/glitter. This card is so pretty. Has so much going on, you don't know where to look first. I love it. 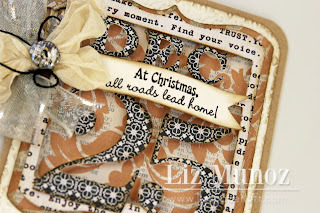 Another beautiful card Liz! I love the color combo, the seam binding ribbon and the blingy button! I can't believe how fast the week has flown by and I look forward to seeing what you have in store for us tomorrow! Love all the details and design of this card...and that you could use it for something like a 25th W.A. card well! This is so beautiful. I love the hues and colors of this card. TFS! Love the card! I especially love the fact that it isn't the traditional red and green!!! Lots of inspiration is coming from this card - oh the possibilities!!! OMG! Your card is absolutely BEAUTIFUL! I love the GORGEOUS color and details! You did a FABULOUS job....thank you for sharing! :) Have a wonderful day! Liz ~ OOOOOOOOOMMMMMMMMMMMMGGGGGGGGGGGG!!!! YEP ~ I AM SCREAMING FROM PA!!!! This is not only BEAUTIFUL, GORGEOUS, STUNNING but ABSOLUTELY ELEGANT! I am TOTALLY blown away by this! I am now speahless! Yep ~ me!!!! 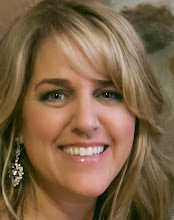 This is Absolutely Gorgeous Liz! Very festive and detailed card! Your card is beautiful! Lov the bow with flower, the big sized date. Great card! Wow, this is so beautiful Liz! The colors are so pretty and elegant..fantastic bow! This is so beautiful! I love all the details and the colors. Very elegant card..love your colors! Just stunning! Love everything about it! Thanks for joining us at Do You Stack Up. Wow this is gorgeous. Fabulous layout and papers. 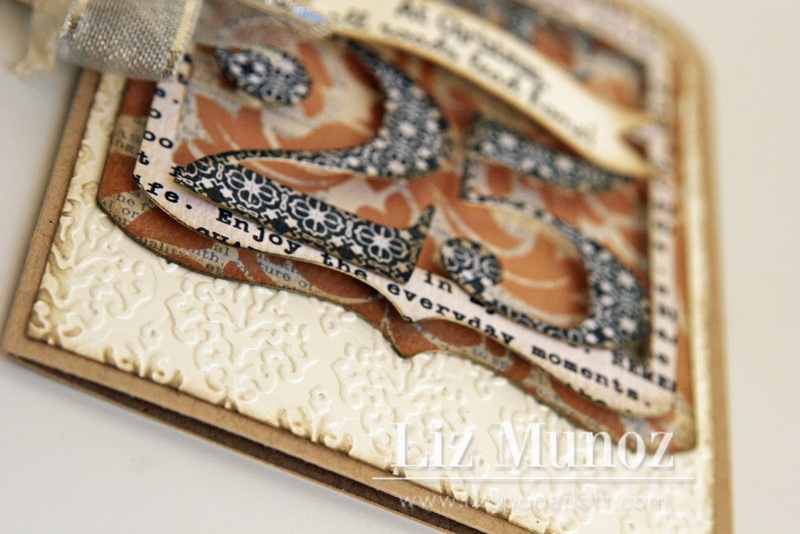 I love your card and the way you layered it all. The bow is beautiful. Thanks for sharing. Can we say, "GORGEOUS!"?! Love, love, love it!!! :) Did you use velum? WOW what a beautiful card! Love the colors you've chosen too! 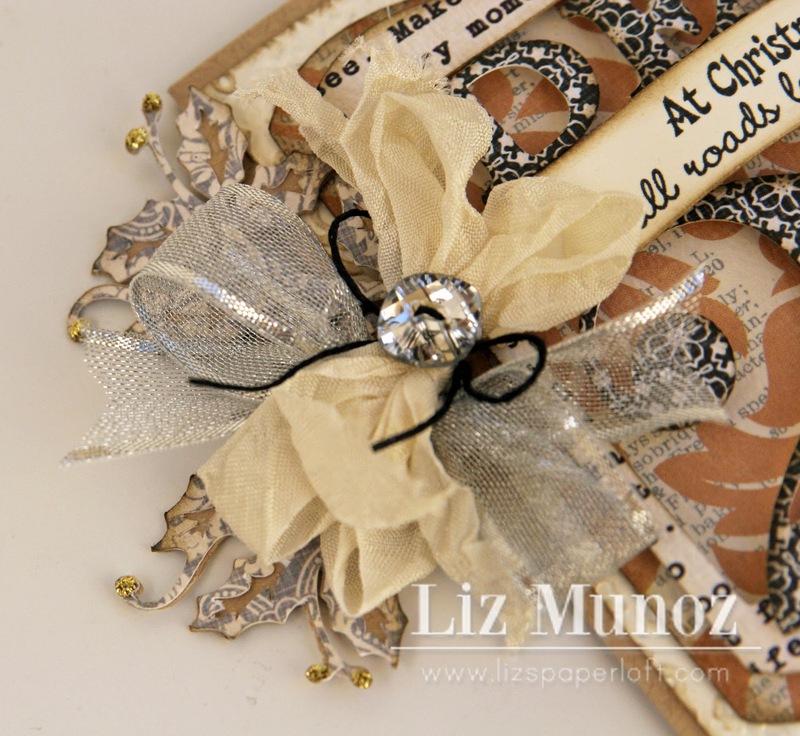 Perfect vintage Christmas creation!